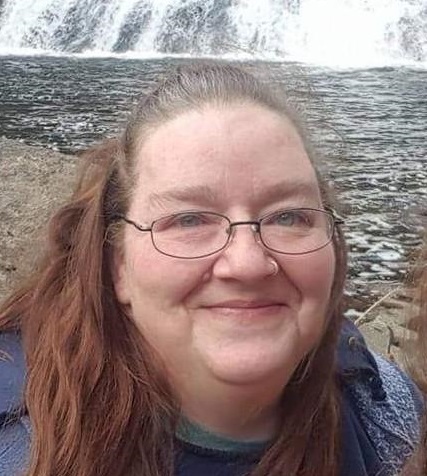 Alison E. Rodriguez, 44, of Franklin, died unexpectedly at Franklin Regional Hospital on April 4, 2019. She was born in Malden, MA on Dec. 20, 1974 the daughter of Worley and Gloria (Adams) Shepherd. Alison was raised in Billerica and resided in Lowell before moving to Franklin seven years ago..
She was currently employed at Merrimack County Nursing Home as a LNA. Alison enjoyed bingo, arts and crafts, and communicating on social media. She liked to hunt for sea glass at the beach and loved dolphins and lighthouses. Family members include her husband, Matthew J. Rodriguez of Franklin, children: Stephen Shepherd of Franklin, and Ashley E. Shepherd-Rodriguez of Franklin, her sister, Deborah Shepherd of Ayer, MA, a brother: Matthew Kitchin of Wales, England, her in-laws, Sandra and Peter Rodriguez of Franklin, sister-in-law Wanda Quintal of Franklin, brother-in-law, Joshua Rodriguez of Yulee, FL, and nieces and nephews. She was predeceased by her parents. Visiting hours will be held at Thibault-Neun Funeral Home, 143 Franklin St., Franklin on Tuesday, April 9, 2019 from 5-7:00 pm. A reception will follow at The Franklin Lodge of Elks #1280, 125 South Main St., Franklin.